Winter commuting in the UK will almost certainly involve riding on wet, messy, occasionally salted and slushy roads. Some of that riding is likely to be in the dark. With Autumn here, and the clocks already re-set, it’s a good time to look at ways to make winter riding, particularly commuting, safer and more pleasurable. As important to protect the bike as the rider. Wet and messy conditions, particularly when there is salt on the road, increase the need for maintenance and the risk of corrosion. We have some excellent SKS 24″ full mudguards that work well with the Joey without compromising the fold. These are wide and most suitable for the ISO 507 wheel size, but offer good protection for ISO 520 wheel as well. For the Chameleon, or Joey owners, using ISO 520 wheels, and preferring a removable guard, SKS Race Blades are a good option. 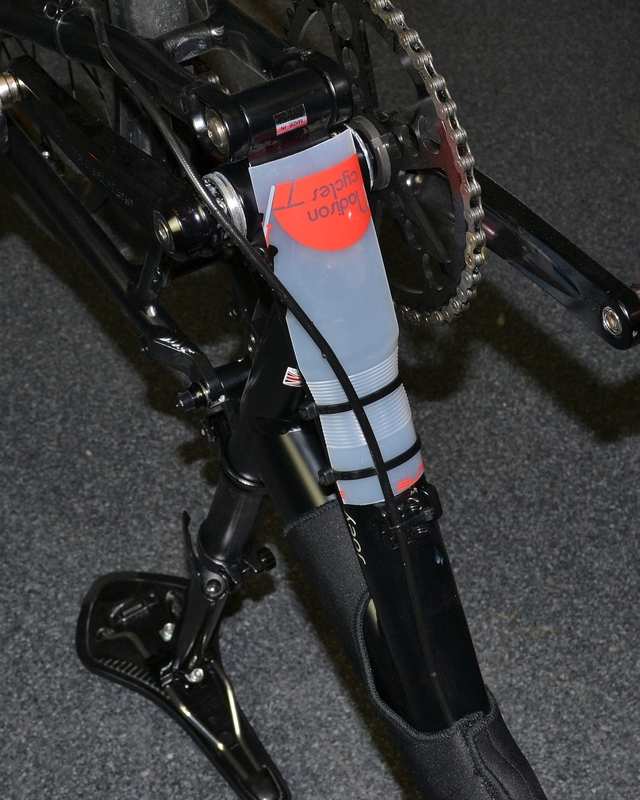 Recommendation – SKS full mudguard for Joey £34.99. At the moment the front mudguard stays are slipped in and out of the ‘secu’ clips to facilitate the fold, but we have been developing a magnetic attachment system that will make the folding even easier. No one enjoys fixing flats, especially when it’s cold, wet and dark, but, with running water causing debris to accumulate in gutters and wet tyres more likely to pick up sharp stuff, it’s when punctures are most likely. The Joey comes with Schwalbe Marathon tyres as standard. These have excellent puncture protection, but for additional puncture protection the Marathon Plus is also available in ISO 507. Good, and suitable, tread is most important for safety in potentially slippery conditions and should things deteriorate to snow and ice, there is the option of the Marathon ‘Winter’, a ‘studded tyre for icy roads’. 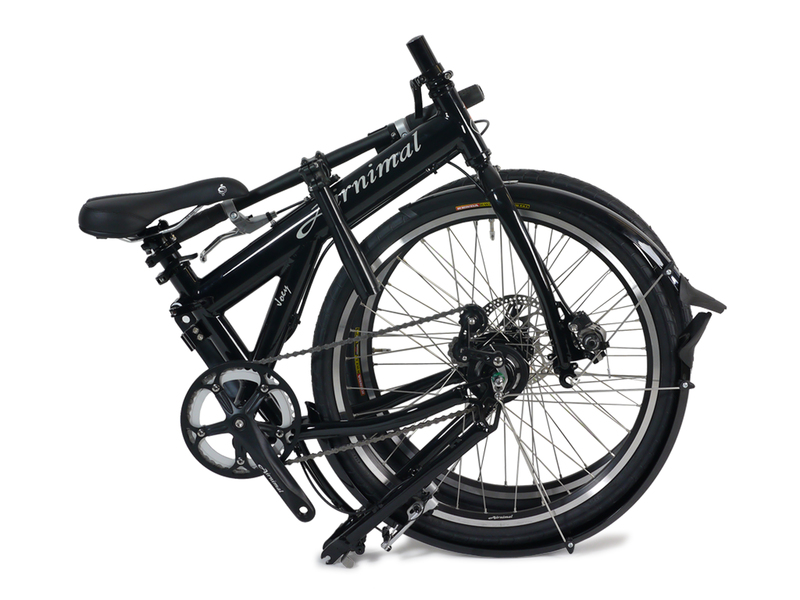 There are not so many options in the ISO 520 size, but we would recommend the Panaracer Pasela which has puncture protection, slightly more tread and a more durable carcass than the other very lightweight options. Particularly in winter, it’s very important to check the tyre tread regularly, looking out for wear, but also cuts and embedded sharp edges. Good lights are essential at this time of year and there is an almost bewildering assortment of excellent options. A few years ago with the advent of high output, low power consumption LEDs and huge improvements in battery technology, it seemed like dynamo powered bicycle lighting might be a thing of the past. 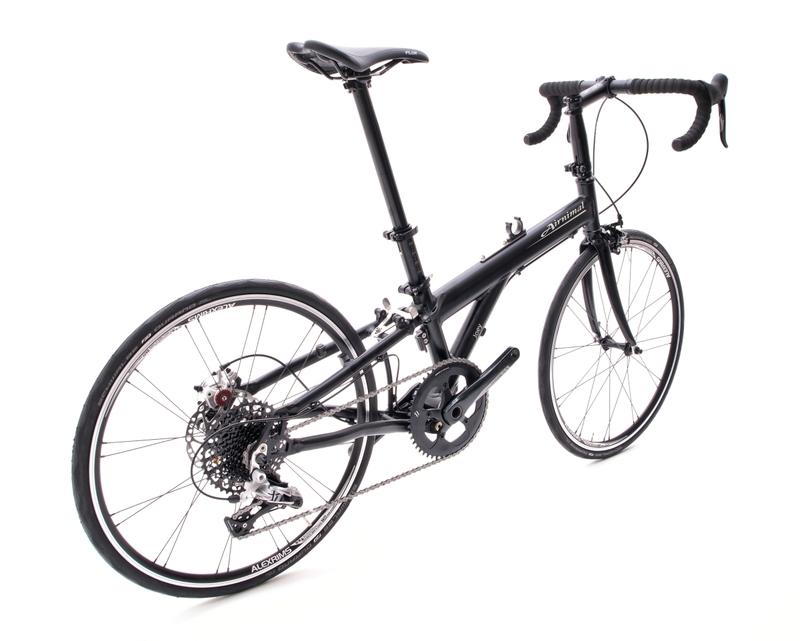 However, dynamo technology has also improved dramatically and for many, particularly winter commuters, having lights permanently fixed to the bike and not having to worry about batteries or charging makes good sense. If a dynamo lighting system might be of interest, we can recommend, supply and fit systems that are particularly suitable for our bikes. Recommendation – B&M rear toplight £26. 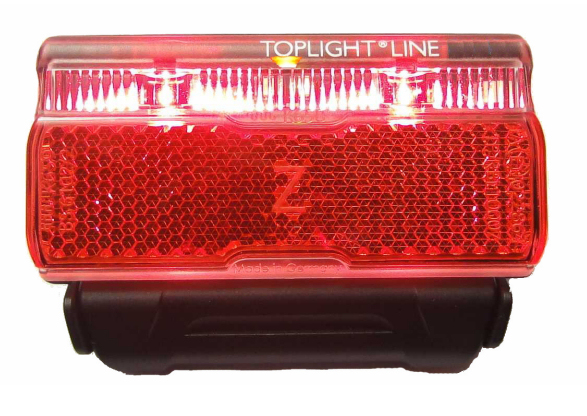 This slim LED powered rear light works particularly well with the 24″ rack which we fit as standard to the Joey and comes in both battery and dynamo options. 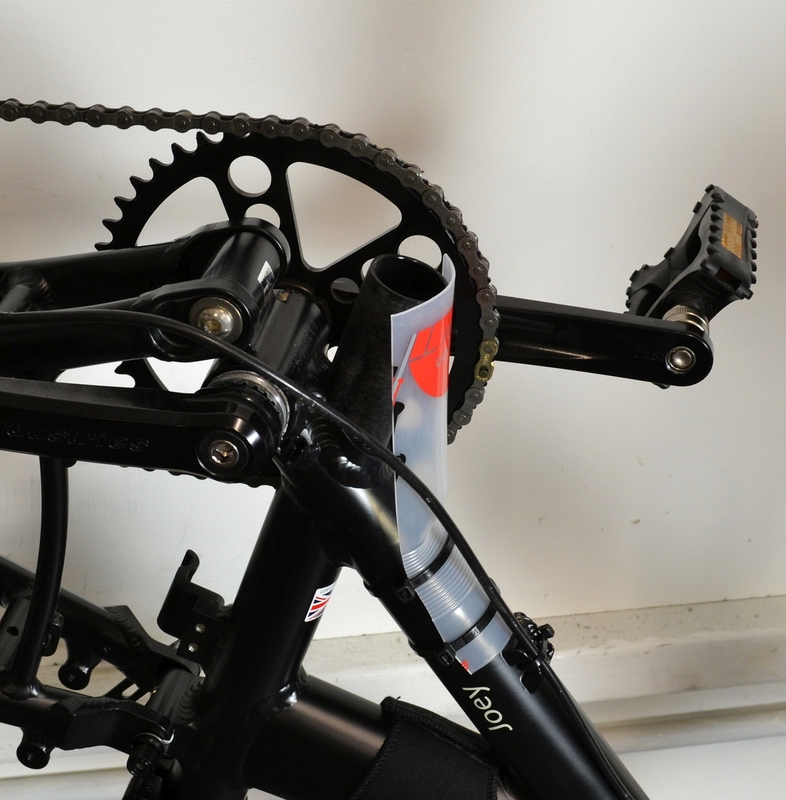 If the Joey is being ridden and folded regularly in winter, water and grime ingress into the bottom of the seat post and seat tube can cause creaking noises and grating of surfaces. Using an old water bottle and some cable ties, we’ve put together a little ‘home project’ for anyone to try their do-it-yourself skills. We have a few ex-demo or slightly used bikes and frames that we are selling off at discounted prices – info@airnimal.eu for details.